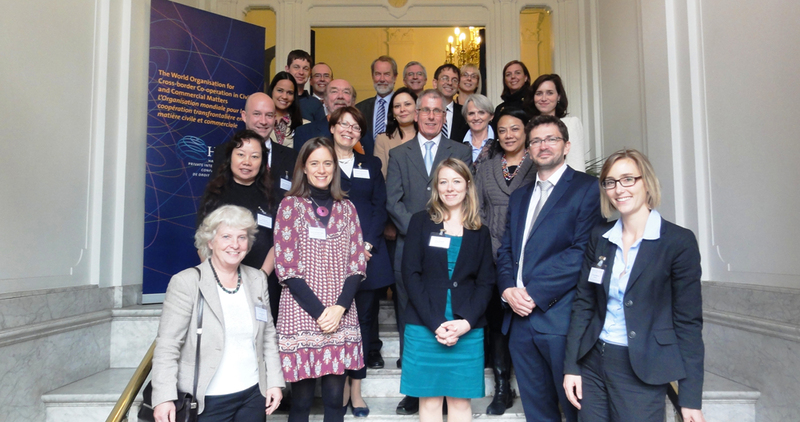 On 8 and 9 October 2012, an Expert Group composed of Central Authorities of States of origin and receiving States from various geographical regions and legal systems, UNICEF, the International Social Service (ISS), EurAdopt and two independent experts, met in The Hague to discuss the financial aspects of intercountry adoption. The meeting, organised by the Permanent Bureau of the Hague Conference on Private International Law following a recommendation of the 2011 Council on General Affairs and Policy of the Hague Conference, gave rise to collaborative discussions and a commitment to work on collective solutions on this area. The Expert Group gave its enthusiastic endorsement to the "Discussion Paper on the Financial Aspects of Intercountry Adoption" prepared by the Permanent Bureau, adopted definitions on this topic, worked on tables on costs and contributions associated with intercountry adoptions, and reflected on the development of tools to address issues relating to the financial aspects of intercountry adoption. The Conclusions & Recommendations adopted by the Expert Group are available here.